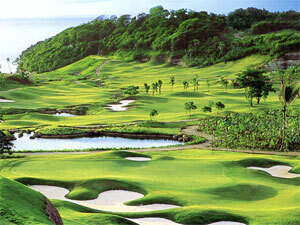 Fairways and Bluewater Golf Resort, Boracay, Philippines. 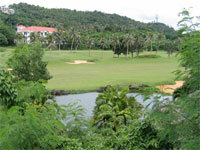 Designed by golf champion Graham Marsh, this 18 hole, par 72 Golf Course is the pride of Boracay island! Fairways and Bluewater has seven room types - Superior, Premiere, Junior Suite, Executive Suite, One-Bedroom Suite, Two-Bedroom Suite and the Chairman’s Suite - all with a spectacular views over the expansive golf course and surrounding areas. Fairways & Bluewater has three fresh water pools, one of which is considered to be the largest on Boracay. 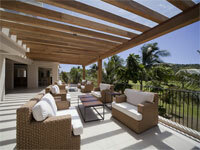 A luxury resort, with private beaches and amenities, including a Spa, for both golfers and non-golfers combined. This is Boracay island's only world-class 18 hole par 72 championship golf course, designed by golf champion Graham Marsh. 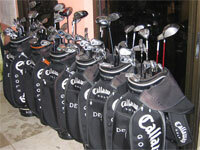 Improve your game through the assistance of experienced caddies and golf professionals. 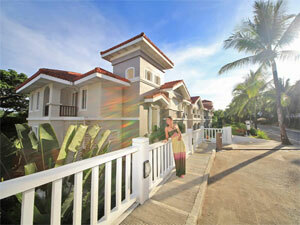 Fairways and Bluewater is one of the premier eco-friendly vacation destinations in the Philippines. The villas seamlessly blend into a landscape of rich vegetation. Wake up to a perfect sunrise, breathe the fresh air, and sink your feet into powdery white sand, gazing out over clear blue waters. Indulge in world-class service and experience unrivaled hospitality. Indulge in a world of tantalising flavours while enjoying an unrestricted view of either the golf course or the clear, blue sea. 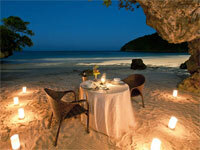 Breathe in the fresh, clean air as you dine in a variety of al fresco restaurants and bars. Within its expansive 150-hectare area, a wonder of natural treasures awaits: from wild flowers, to bird species and live corals. while riding tame and well-trained horses. Explore the surroundings while riding one of the resort's tame and well-trained ponies. Take a 2-seater Buggy, or a Segway, to explore the resorts paths and beaches, visiting picturesque locations. Watersports, snorkelling and diving may be enjoyed in the bays, and there's even a 325 meter long zipline to give you an adrenalin rush if you have the nerve! 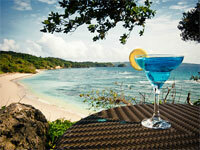 Other excursions such as island-hopping, and sailing can be arranged by request. Simply let us know. There's a 24 hour shuttle service within Fairways and Bluewater Resort, as well as an hourly pick-up service from D'Mall, White Beach. After playing golf, swimming and horse riding, prepare for a spot of pampering! 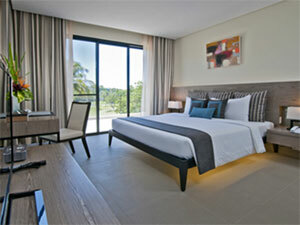 Fairways & Bluewater's wellness facilities ensure you enjoy pure relaxation bliss. Select from gym, massage, steam bath and Jacuzzi. If you'd like a tour of the country to incorporate rounds of Golf, including a stay at Fairways & Bluewater Resort, let us know, and we will be delighted to help plan your itinerary.